The Liberal party will present part of its vision for what a future Liberal government would look like today highlighting transparency and accountability. Leader Justin Trudeau will present what the Liberals are calling a plan for a "fair and open government" at the Canadian Museum of History later this morning. CBC News has learned part of that plan will reform the way the Canadian Revenue Agency deals directly with Canadians. But the most politically charged move would be to place a clear definition around what constitutes political work for Canadians charities. In recent years, the Conservative government has cracked down on what it calls "excessive political advocacy" by some charities. Some 60 charities have been audited since 2012 for their so-called political work, including Environmental Defence and Dying with Dignity. Some have lost their charitable status. Opponents have slammed the government for trying to stifle criticism of Conservative policies. The Liberals would not end the audits per se, but would instead end what the party calls the "political harassment" of charities. Trudeau will promise new rules for charities while still maintaining they can "develop and advocate for public policy in Canada." The details on what those rules will be will come at a later date. 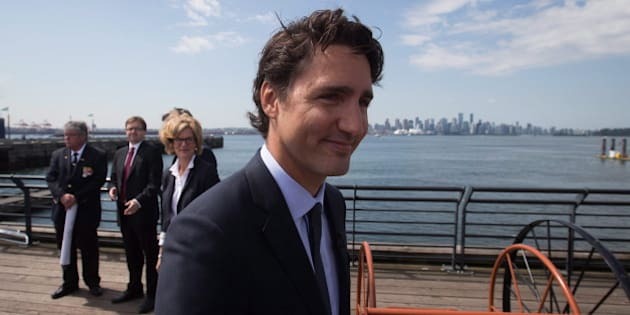 The Liberals will also propose new changes to help Canadians file their taxes — promising, for instance, that the Canada Revenue Agency would be more "proactive" in helping Canadians take full advantage of the tax credits available to them. For example, if a parent forgets to claim a particular child tax credit, the revenue agency would actually contact the individual in order to help them make the change to their tax form. The policy would also suggest the CRA could actually file taxes for Canadians if they have not had a substantial change to their income tax profile since the previous year. That is just one of several broad-based policies Trudeau is expected to outline today. NDP Leader Tom Mulcair is also talking about his party&apos;s policies today, as he delivers a speech to the Economic Club of Canada outlining his vision for building the economy and a strong middle class. For their part, the governing Conservatives have introduced a raft of new legislation in recent weeks — including a new bill coming Tuesday to increase penalties for impaired driving — with little chance of passage before Parliament rises for the summer and the election. Government House Leader Peter Van Loan said Monday the bills will form the "framework" for the Conservatives&apos; campaign.